Gamers seem especially eager to replay Square's groundbreaking PS1 JRPG: Final Fantasy VII has sold 100,000 copies via the PSN store in just one week. 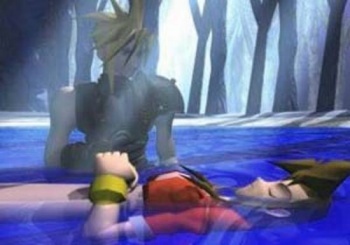 The Emo Amnesiac Adventures of Cloud 'N Pals - better known in some circles by its unofficial title, Final Fantasy VII - is a fond memory for many a gamer. It introduced an entire generation of gamers to the convoluted storylines, giant swords, and even gianter hair of the JRPG. For many, it was a mindblowing cinematic experience unlike anything they'd ever experienced before. For others, it was an exercise in frustration in breeding that goddamn golden Chocobo. Apparently, Square-Enix decided that it had had enough of releasing spinoffs and movies to milk the FF7 name, and just cut to the chase - last week, the classic PS1 title hit the PlayStation Network, clocking in at 1.32 GB for $9.99. In just one week, it became the fastest-selling PS1 title on the PSN store, selling a rather impressive 100,000 copies. At $10 a pop, that's a cool million bucks split between Squeenix and Sony... not half-bad, when you think about it. Of course, one could easily see this as testing the waters for a true current-gen FF7 remake. If this is any evidence, an honest remake might do rather well ... and would likely have rumors about it being multiplatform for the Xbox 360 from the moment it was announced. Still, Squeenix seems reticent to commit to a full remake of the game, possibly because it might mean they couldn't do any more spinoffs. Still, it won't stop gamers clamoring for a remake. Or will it stop other gamers clamoring that they should let it rest and move on already. Nope, they're just going to keep yelling at each other. And all is right with the world. Sony also announced further PS1 titles to hit the PSN Store this summer: Wild Arms 2, Mobile Light Force and Spec Ops: Stealth Patrol. None of which will sell even half as well as FF7, but hey, you can't blame them for trying.